A bi-weekly has taken one of its editions digital-only in a bid to save on printing costs, HTFP understands. 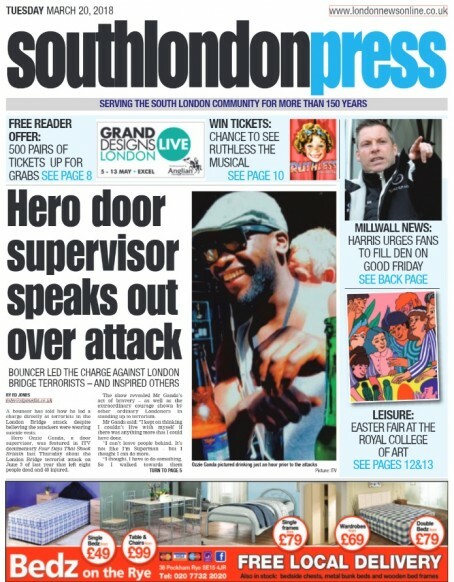 A print edition of the South London Press is now only available on Friday, with its Tuesday edition available online. The Tuesday version can be found as an e-edition via the SLP’s website, along with the Friday edition. No jobs have been affected as a result of the change, which came into effect in February. In July 2017 the SLP was sold to a new owner, Romford-based leaflet distribution firm Street Runners Ltd, having gone into administration earlier in the same year. The following month, the SLP and its sister title the Greenwich Mercury moved into new offices in Rathmore Road, Charlton, having been based on Streatham High Road since 2013. At the same time editor Hannah Walker stepped down after 17 years in charge. HTFP is awaiting a comment from SLP. In many ways this is a sensible option rather than closing a title and considering the high costs of producing a printed newspaper against increasing paper and distribution costs and ever worsening ad revenues.with copy sales falling and advertisers finding more effective ad mediums I’m surprised more ailing titles don’t go the online only route, if not what’s the alternative? Keep throwing good money after bad and propping up daily and weekly paid fors which have lost their appeal and audiences or closure in the worst performing titles? This compromise is one I believe we will see more publishers adopting in the months to come . I believe the online only route is a good one too as not only does this format reduce costs and save money, it also has a better chance of attracting paying digital advertisers with click through links from their advert in the e-paper to their own site,as well as higher site traffic for banner ads via those visiting the publishers site to read the paper. There’s still a market for grass roots printers community newspapers,as many smaller independent publishers are showing, but the older groups and their ailing tired dailies and weeklies with higher costs and punishing overheads need to try new routes to reach the public and to me,this option seems an obvious one. The big issue is content which needs to improve and be more relevant if it’s to compete with the new papers thriving on their patches, considering how bad content has become this is by far the biggest stumbling block to any reversal of fortune by the bigger groups. Good luck to all involved with this SLP initiative, a sensible alternative to cutting staff. Makes sense with printing costs. However someone mentioned increasing distribution costs above. All the titles around there when under Tindles laid off all walkers and Street Runners themselves delivered all the Newspapers door to door for peanuts. The distribution from press to site is actually done now for probably 1/4 of what it used to be a few years ago and across the board distribution costs have been continuously hammered down on a yearly basis despite increased insurance, infrastructure and fuel costs. I handled titles all over the country and the few that are left now get charged less in total for press pickup, collections, delivery and management than I used to pay the drivers who took it out to the delivery agents. God bless the moral-less gig economy.